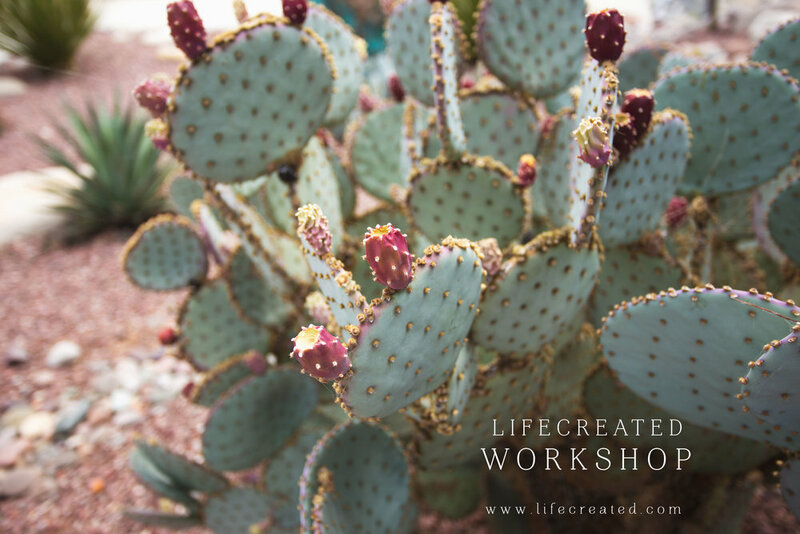 Thank you for your interest in LifeCreated photography workshops in Arizona! My photography and mentoring for food, product and still-life photography using natural light is based in the Phoenix area, but I do offer my e-workshop (eBook) and private help class if you need help from a distance away. 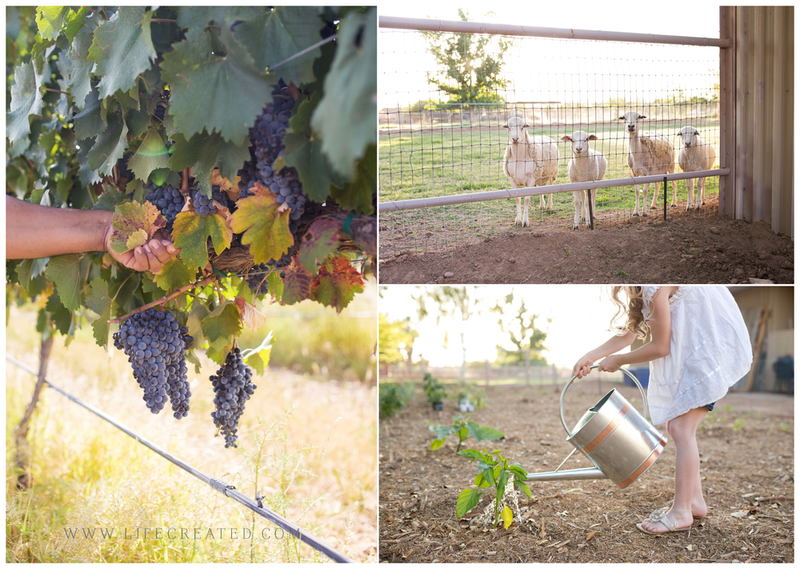 Arizona based photography workshops for this style are hard to come by, so I am excited to introduce them. 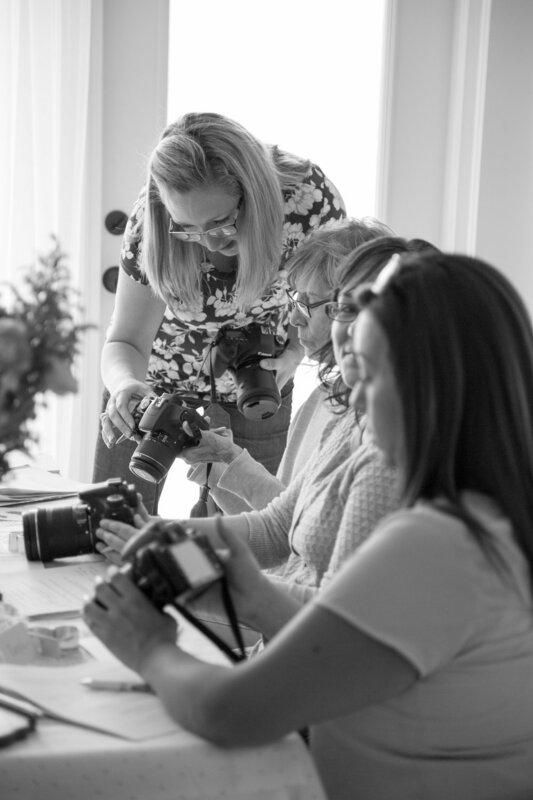 This workshop is great for anyone wanting to learn the beginning stages of using a DSLR with manual mode, styling table top and still life shots for use in your business and blog, and shooting these things in all different ways! Food and still life photography is a great way to learn your camera in a relaxed and creative way! We will practice shooting light and airy shots, dark and moody shots...with practice, you will find your photographic style. Anyone who loves capturing details will enjoy this class. Where, when and how big is the workshop? Saturday, October 22nd, 2016 from 9 am-12 noon. This limit helps me be able to accommodate and assist each of you with your needs, and have one-on-one interactions. What if I want to photograph people? Food and product styling is a great place to start learning manual mode on a DSLR, even if you enjoy taking photographs of people. Still things give you the chance to learn your settings in a slow-paced way, and also discover your own style of taking pictures. Often times, shooting food and products in a story-telling way will involve people at some point, so having a well-rounded experience is great for any photographer. What will I learn about running a photography business and branding? What if I am a hobbyist? Branded photography for businesses is so important as well, so we will talk about how to brand your images to your style and needs. Read this blog post to get an idea of what we will cover regarding branding your own shots. Food and product photography can be done commercially, in a still-life way, for stock photography, for personal blogs...we will discuss many uses of this art form! Hobbyists and business owners alike are welcome. How do I sign up and what do I need to bring? CLICK THIS LINK TO REGISTER FOR ONE OF THE 8 SPOTS! The workshop attendees will receive an informative email the week before with the address and any other information you might need to know. For the workshop I recommend you bring whatever camera you are comfortable using along with your favorite lens. If you need a lens recommendation, I suggest getting the 50 mm 1.8 lens. Let me know if you need help with this. ALL WORKSHOP TICKETS/SALES ARE NON REFUNDABLE UNLESS LIFE CREATED NEEDS TO CANCEL OR RESCHEDULE THE WORKSHOP FOR ANY REASON. Mentoring is done one on one, and is perfect for those feeling like they need some individualized help with their photographic style and technical know-how. Please ask about current dates available for your needs. Thank you! My brain hasn’t shut off since the workshop. Thank you so much for sharing your tips and tricks of food photography. I am no longer intimidated by this type of photography. The amount of information you shared in such a short amount of time is immeasurable. There is no possible way I could’ve learned what you taught in 6 months or even a year. Plus, the amazing food you provided for us to shoot was a definite bonus. I love that I have found so many props around my house that I can use. Makes my list of what I want to buy much shorter. An accumulation of events brought me to The Simple Farm for your class. I have been involved in photography for some time, but more from a graphic arts' side. I was rarely behind the camera myself; I was more the creative director for my children's publishing business. That said, I have had a mad crush on photography for some time and this was the year to really apply myself and find my niche. I had been focused on macro photography, and though I was having some significant success, I still felt I was struggling to find my special place. Your class, taken simply as a way to learn something new, changed that. Suddenly, I realized I could combine my talent for interior design with photography and a whole new world opened up. I am now focused on selling to the interior design trade, as well as retail. I had no idea that a class in food and product photography would have that impact, but there you go! One just never knows.